PayPal is now a standalone company being traded on the Nasdaq and it has adopted a mobile-first strategy. The company has come to establish a very prominent position in the mobile commerce space, where it has become one of the more influential entities therein. As the company has now become separate from its former owner eBay, PayPal will adopt a greater focus on the mobile sector. This focus may further increase the company’s standing in the mobile commerce market. According to PayPal CEO Dan Schulman, PayPal is set to become a mobile-first platform through the development of new mobile products. The company will also work to enhance its existing mobile solutions, which include those developed by Venmo, Braintree, and Xoom. Braintree, in particular, is expected to become a more prominent tool for PayPal, due to its expertise in the mobile commerce space. 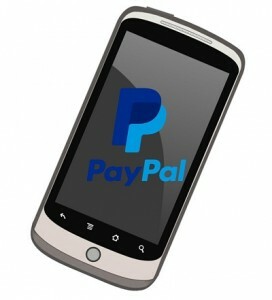 PayPal also intends to drive higher levels of engagement through the mobile space. Part of the company’s strategy involves the introduction of new services that will be used on a variety of mobile platforms. PayPal will be expanding its one-click purchasing feature, called One Touch. The company is also working on making its payment processing faster. PayPal has already succeeding in increasing this processing speed by 50%. The company is also looking to capitalize on in-store mobile payments. These payments are becoming more popular among retailers that are looking for new ways of effectively engaging mobile consumers. In-store mobile payments may be a good opportunity for PayPal to expand beyond the digital space, as it can offer retailers with an effective way to participate in the mobile commerce sector. Several retailers have already embraced PayPal as a way to allow consumers to make purchases directly from their mobile devices, rather than having to use traditional forms of commerce, such as physical currency and credit cards.